The Command Prompt (cmd) is a very important utility for any Windows user. But in some cases, you need to have administrator's right in the application to achieve certain tasks. You can access the administrative authority of this tool through the Run dialog box itself. The earlier Run box could open any applications but it did not have the power to open it in the administrator mode. But the build 16362 and later gave it the right. Now the combination of a few hotkeys helping this concern. All that is needed is to put in the executable name of the file and type a few keyboard shortcuts. 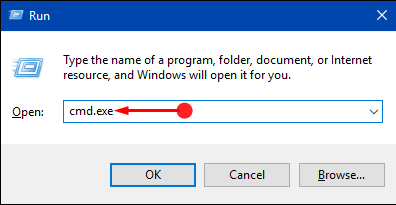 How to Open Command Prompt as Admin From Run Dialog in Windows 10.